You got there … eventually! I think Labour will get an above average swing as a result of changing demographics. I would say that Mr Uppal, should, by rights, have a reasonable chance of holding on to WSW. It will simply depend on what happens within the minds of the middle floating voters come poling day. If middle floating voters think Mr Cameron is the more reliable choice for PM than Mr Miliband then I believe the traditional electoral norms that have applied since the 1940’s will come into play again on polling day, and people will vote in seats like Wolverhampton SW, Stourbridge, Dudley South, Worcester, Redditch, Halesowen etc for the national leader they trust most. This has all the hallmarks to me of April 1992, when there was a wave of optimistic talk from Labour and BBC journalists that floating Tories voting for the Lib Dems and Greens would deliver lots of marginals for Mr Kinnock, and indeed the opinion polls in the week beforehand suggested a Labour majority of 20 seats on this basis if I recall it right? Well, as we quickly learnt the voters thought again about having Mr Kinnock and Mr Smith and spending heaps and raising taxes for 5 years, went into the polling booths in seats such as Wolverhampton SW and duly returned Tory MP’s! Fast forward 23 years, and we have a markedly very left wing Labour Party once again in partnership with the unions, and instead of Greens and Lib Dems snatching votes, we have UKIP as the threat. Certainly speaking to a great many of my friends, family and work colleagues about their voting intentions and seeing the polls generally I would put money on the UKIP intended vote in key marginal seats falling significantly by polling day, and it being much more the traditional Labour/Tory battle due to Cameron’s promise of an EU Referendum being almost unstoppable now, with many former Lib Dems splitting equally between the two for the same reasons. People are waking up now to the realities and their own fears about either a continued Tory or socialist Labour government, and assessing whether former Gordon Brown right hand man Ed Balls as Chancellor rather than George Osborne would be an improvment or a national nightmare! This is why seats like Wolverhampton SW are going to potentially throw up surprises come election day, and I wouldn’t write Paul Uppal off just yet! Ed Balls was featured on Midlands Today this evening visiting the Express and Star offices in Wolverhampton. They interview a few people on the street and they appeared to have mixed views about him. Maybe this is just down to the BBC wanting to give a balanced viewpoint. As a voter in Wolv SW I am slightly cautious about this and torn between whether to vote for Rob Marris or Paul Uppal to be honest. What gets me is Rob Marris standing again. We had him perfectly legitimately for 9 years as our MP and that bit was fine and I did vote for him in 2001 and 2005. But 5 years ago cos of Brown mess I voted for Uppal snd we said goodbye to Rob. But now he is asking again to be our MP. Admittedly I have somewhat forgiven Labour a bit but Rob was part and parcel of the problem I voted to remove last time so why has he come back to ask me to put him back in? No meant no Rob. I am struggling with the arrogance of him tbh. That said, Uppal hardly been great. A difficult one for me. Maybe Ukip or Green?????? Did you just randomly call people out of the phone book Paul or use a more scientific approach? On the point above from “ghost of summer row” I think it important not to forget that the much talked about 1992 Labour “failure” has to be evaluated in context. No, Labour did not win a majority in parliament but as I do recall it was only ever in the later stages of the period following Margaret Thatcher’s departure and John Major’s succession that anyone believed they would get a majority. The Tories went into 1992 defending a majority of 100 seats. Labour’s strategy was to target only 60 key seats and leave the rest to chance. Come the day Labour gained 44 from the Tories, including some 1979 and 1983 Tory gains that weren’t even on Labour’s 1992 target list, such as Birmingham Selly Oak, Birmingham Northfield, Birmingham Yardley, Warwickshire North, Walthamstow, Pendle, Hyndburn, Nuneaton and Southampton Itchen. They slso reversed 1987 losses Iin Wolverhampton North East and Greenwich. So ok Labour didn’t win 1992 but they made advances, to some degree thanksto old boundaries that hadn’t been updated since the 1970’s. It also paved the way for Labour and Lib Dems to win by-elections and benefit from defections in the course of the 1992-1997 parliament. It is worth also remembering that by the end of 1997 parliament it was a “hung parliament” and the Tories ruled as a minority government. Finally, “ghost”, you say Wolverhampton South West was a Labour target in 1992 yet hung on to by the Tories. I was politically around at the time and no, WSW was not even remotely a Labour target in 1992 or 1997. Nick Budgen had held it comfortably since 1974 and very few people thought Labour would everoust him. It was a massive shock that Jenny Jones did in 1997 and an even bigger shock when Rob Marris succeeded her and held on as Labour MP in 2001! The views of both former MPs and also the electorate are capable of changing over time. Maybe Mr Marris has taken lessons from the Brown years, just as the electorate may have taken lessons from the Cameron and Clegg years and modified their political allegiances. So it is hardly “arrogant” for a former MP with a reputation for hard constituency work and independent scrutiny of the executive (Parliamentarian of the Year 2008 no less) and who lost by a whisker last time to put his name forward for the electorate to decide. Methinks you may have had too much of the output from the brewery next to West Park!. Uppal will not retain this seat. Not sure how this is being thought of in some circles as less certain to predict, or a Conservative hold. Labour had stacked its votes very strongly in three wards and is competitive in two others. They’ve taken it. Their 2nd non-London Tory gain. Congratulations to Rob Marris for winning in the only seat in the West Midlands that Labour gained from the Conservatives. Having been very closely involved with his campaign, I can assure all that the task facing Labour was much harder than it looked on paper. Yes Rob Marris was a first class candidate with amazing positive name recognition on the doorstep, although he had also had that going for him in 2010. We were also helped by facing a lousy second rate Conservative MP in Paul Uppal. But the Conservative campaign was still as intensive as anywhere. What made it especially hard was the decision of one of the Labour councillors in one of Labour’s strongest wards to defect to the Conservatives in mid 2014 – too late to be reflected in the Ashcroft polling – with the risk that a significant number of his supporters would defect to the Conservatives and vote for Uppal in the general election as well. Superficially that appeared to be taking place judging from the number of Conservative “Vote Shah” (and in the neighbouring ward “Vote Khan”) posters displayed in the final weeks but in practice most of the Muslim community rallied to Labour and he was badly marginalised even in the local elections. A second factor was that the Greens stood for the first time, and had they done so in 2010 Labour would undoubtably have started further behind this time. A third factor was that most students at the University of Wolverhampton live in the area and most disappeared from the electoral register, so IER hit Labour much harder here than elsewhere. The direction of the Labour campaign here was determined locally with some significant differences of emphasis from the national campaign. It would be giving away too much to go into detail, but in general we tried to highlight how Labour’s economic approach amounted to an alternative to austerity rather than a watered down continuation of it. There hasn’t been any austerity and will not be until interest rates start to go up again. One of Labour’s big failures was to keep prattling on about food banks and zero hours contracts to the exclusion of almost any other economic issue, neither of which are of the slightest interest to most swing voters. Much of middle England is doing OK, with cheap mortgages and credit balancing out the low pay rises. The challenge is now to maintain this in an era of more normal interest rates…it won’t be easy. The irony is that even talking about food banks and ZHCs didn’t enthuse northern voters who turned to UKIP. Labour carries the wards locally making up Wolverhampton SW, by just under 2000 votes. Was interested in this one, given that it was one of the party’s few gains from the Conservatives last year. They took the two most competitive wards which I think are split between themselves and the Conservatives, Merry and Penn. That was on top of piling up support in their three safe wards. Did you take into account the Tory nomination muck-up in Tettenham Regis? The prize for incompetence (other than Council Counts) has to go to Wolvs Tories. Fielding 2 Candidates in 1 seat is bizarre beyond belief. Good job it was a safe ward, although they came within 75 votes of losing it to Labour by splitting their own vote. So far as I recall, the Alliance had difficulty deciding which of the Liberals and SDP would contest which seats – the SDP feeling they were being given less winnable prospects (turned out to be correct). As a result in a few seats rogue SDP/Liberal candidates stood against one another. Billston & Wednesfield were 75% Leave! I think Jaywick was the largest Leave % ward in the UK. Although I’m told there were a couple of 80% wards for Leave in NI. N Antrim presumably. I would not be surprised to discover Jaywick had the highest leave percentage, considering it’s the most deprived ward in the country. Wonder what the turnout was there? I was hoping Carswell would’ve revealed the figures by now. I heard only 4 or 6 voters had voted Remain in Jaywick – but I don’t know if that was in the whole ward or just in one ballot box that the reporter was watching. Those handful of Jaywick remainers may feel an odd sense of solidarity with the Gibraltar 823. I believe Jaywick is in the Golf Green ward (unless there was boundary changes in Tendring last year, I don’t know) so that microscopic share for Remain may have come from another section of the ward if not Jaywick. As I’ve pointed out before the lower divisions read like a list of marginal constituencies. ‘ One final point: when one of did this exercise before it was striking how many of the comments people made in response were about how they could not believe place X voted a certain way. This was almost always people not believing that place X had voted Conservative. (The standout example was Wolves – then in a constituency held by the Conservatives, something many people struggled to believe, although the seat has now changed hands back to Labour). Occasionally, maybe, this was just a confusion over the difference between where the ground was and the nature of a team’s fans – but it was also a belief that places like that couldn’t or somehow shouldn’t vote Conservative. Labour have always dominated most of the major cities where the big football clubs are located. This dominance has become even greater over time, but throughout the 20th century Labour have held most of the seats in big cities. Curious that they did this analysis in terms of estimated constituency results rather than just taking the council areas. If they had gone by council area, Aston Villa, Birmingham City, Sheffield United, Nottingham Forest & Portsmouth would have moved into the leave column. Barnet (which weirdly, is in the borough of Harrow, rather than Barnet) moves the other way, meaning a clean sweep for remain within London. I’m sure I’ve missed some others. 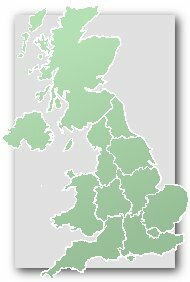 Barnet’s new(ish) ground is in Harrow (East) because they have had various long-running disputes with Barnet Council over the years, including being refused planning permission for sites in Barnet. They therefore decided to get away from that and go for a site just over the border. It does seem odd to see Barnet in the Leave column on that graphic, though the estimate for Harrow East is probably about right. And though Chipping Barnet will have voted Remain comfortably Underhill ward, where their old ground was (still is, in fact, as it hasn’t been knocked down yet) may well have voted to Leave – it had the highest UKIP vote of any Barnet ward at the last locals and contains the Dollis Valley Estate, which is the type of place where England flags are frequently on display. Rob Marris is standing down citing his age. This would’ve been an easy gain even with Marris standing. It’ll be easier now. Pretty weak excuse when you’ve been an MP for all of two years. Oh actually he was MP from 2001-2010 as well, okay not such a lame excuse but it still smells a bit to me of defeatism. Saved the taxpayer £19k by standing down. If you contest and lose you get 3 months of full salary. You still receive PILON, but yes there’s a saving in that the taxpayer does not have to cover the costs of running down the MP’s office and making staff redundant (if applicable). I think he always said 2015 was his last election (he was a trade union lawyer and previously said all trade unionists should give up their jobs at retirement age, so the jobs can go to younger people). Richard – yes indeed people are surprised that Gigg Lane is in a Tory seat (Bury North). Although it is in the most Labour ward of the seat (Redvales). I seem to remember David Nuttall MP saying that the first match played there was a friendly v Wolvs W.
Both seats have really run down parts. Given that this seat continues to trend heavily away from the Conservatives, they will welcome Rob Marris’s departure. It removes any incumbency effect in a seat which – though it will probably change hands – could still have a small majority. Not that I foresee a rush of career minded Conservative candidates. Whatever direction the forthcoming boundary changes go in – as long as they do not extend into Staffordshire – will render this seat near impossible for the Conservatives, especially if, as proposed, Blakenhall ward is added from W’ton SE. So who wants the honour of being the last Conservative MP for this seat? Agree, like all the seats that Lab gained from the Cons in 2015 I expect well below average swings to the Tories, demographics are moving against the Cons in all of them so in the event they retake them this time it would only be a matter of time before they lost them again. Ex-MP Paul Uppal has been selected. I drove through W’ton South West yesterday. I did not see a single poster or billboard in the 4 miles I travelled (through Penn, Merry Hill, Graisely, West Park and St Michael’s ward). No sign of activity in what has to be any standards an ultra marginal. It seems to epitomise this curiously disembodied campaign. It hardly feels that an election is taking place. I might add further on in W’ton North East and Cannock, it was just the same.